If you are a fan of strawberries then you have probably experienced opening a recently purchased container only to find that several berries have burst into a plume of velvety gray mold. Unfortunately, your berries have fallen prey to gray mold disease, caused by the fungus Botrytis cinerea. Botrytis infects strawberry blossoms and causes onset fruit rot as berries ripen. This causes problems not only in the field, but also after harvest as berries wait in storage during transit to stores. Spores of B. cinerea can spread quickly by water splash and wind, moving large distances across a field. Fungicides are available for control, however, resistance in the pathogen population to many synthetic chemistries on the market has made it difficult for growers to manage this disease. 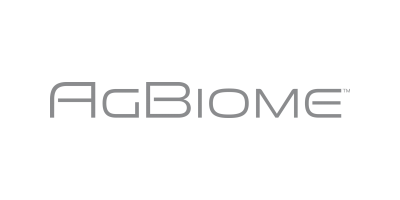 AgBiome discovers and develops biologicals to manage plant pathogenic fungi including pathogens like Botrytis. Our first biological fungicide, Howler, is labeled for control of Botrytis and several other plant pathogenic fungi. Howler has multiple modes of action decreasing the risk of fungicide resistance spreading through the pathogen population. Checkout the timelapse video below showing Howler in action controlling Botrytis and other post harvest fungal diseases of strawberry! Howler will be coming to the market soon for use on specialty crops. No comments were found for What`s this disease?. Be the first to comment!